Jeff Plankenhorn is an Austin-based sideman specializing in slide and slide-related music, including the Plank guitar, his own invention, that’s a cross between a slide guitar and a pedal steel, and that looks like something Jeff Healey would have loved. 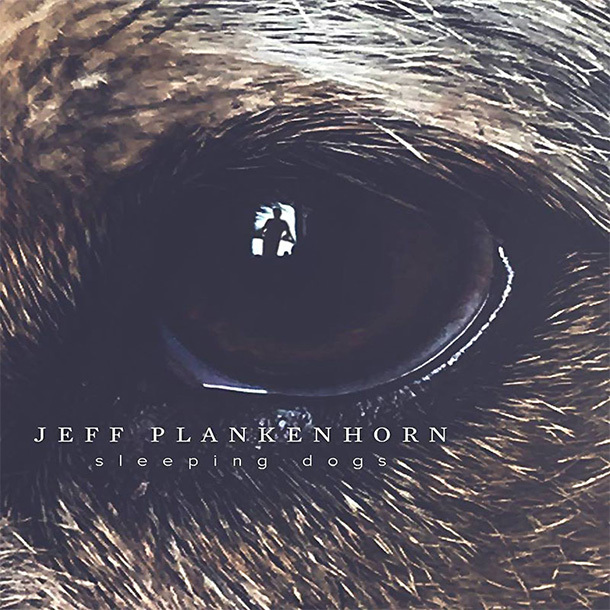 On Sleeping Dogs, his second solo album, Plankenhorn shows versatile songwriting chops, creating an album that, like his Plank guitar, exists across multiple genres. While it’s no surprise Plankenhorn touches on jazz and country, listeners might be pleasantly surprised by the New Wave vibe that runs through a few of his songs. The album kicks off with “Sleeping Dogs,” which could almost be an Elvis Costello song. It’s catchy and poppy, and while it has plenty of country twang, it also has an emotional distance, which gives it a cool detachment. “I Don’t Know Anything” has a similar sound and melody to “Sleeping Dogs,” but both tracks are nice to hear on this kind of album, where they’re unexpected treats. And the expected country songs are also, nice. “Tooth and Nail,” featuring singer/songwriter Ray Wylie Hubbard, is a country march elevated by Plankenhorn’s slide and the vocals, which ooze testosterone. Like if Johnny Cash were to sing with them, he’d get the high parts. “Holy Lightning,” featuring singer/songwriter Patty Griffin has more of a feminine energy thanks to Griffin’s sweet vocals. But the song, with it’s pretty piano parts and hopeful chorus, is right out of the Don Henley playbook. The collaborations work well, but Plankenhorn is at his best when his music is stripped down. For instance, “Heaven on Earth,” the album’s final track, is Plankenhorn and his guitar playing and singing over a doo-wop groove, and the simplicity of the production gives a real sense of who he is as an artist. On “This Guitar,” it’s just Plankenhorn and his acoustic, and it presents a nice opportunity to hear what Plankenhorn can do with just his voice. While Plankenhorn is best known for his guitar skills, Sleeping Dogs shows a surprisingly well-rounded songwriter and performer. There’s plenty of great slide-y sounds on the album, but it’s what you expect from Plankenhorn. What’s surprising—in a good way—is the quality and versatility of the songs, as well as Plankenhorn’s voice.